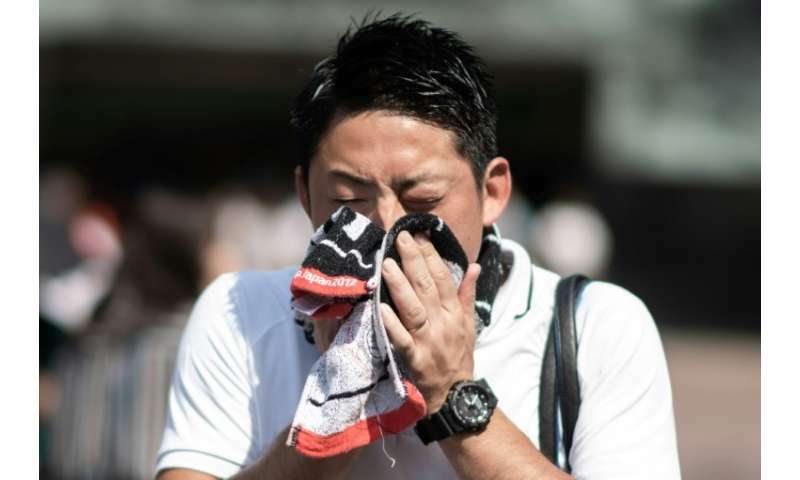 An "unprecedented" heatwave in Japan has killed at least 65 people in one week, government officials said Tuesday, with the weather agency now classifying the record-breaking weather as a "natural disaster." Both figures are "the worst-ever for any week during summer" since the agency began recording fatalities resulting from heat stroke in July 2008, an agency spokesman told AFP. 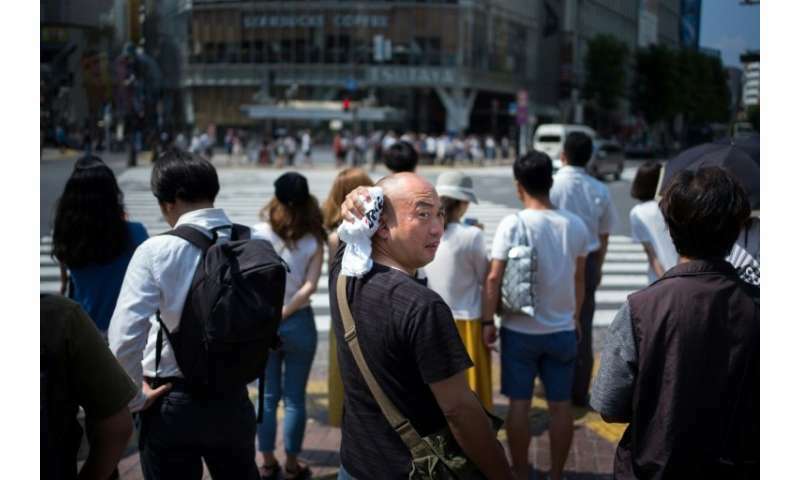 "As a record heatwave continues to blanket the country, urgent measures are required to protect the lives of schoolchildren," top government spokesman Yoshihide Suga told reporters Tuesday. Less than half of Japan's public schools have air conditioning, and the figure is only slightly higher at public kindergartens. Map showing temperatures recorded on July 23. Suga said the government would also consider extending this year's summer school holidays as the heatwave drags on. And temperatures over 40 degrees were registered for the first time in Tokyo's metro area, where the government is promoting Uchimizu, a tradition where water is sprinkled onto the ground, as part of a summer heat awareness campaign. 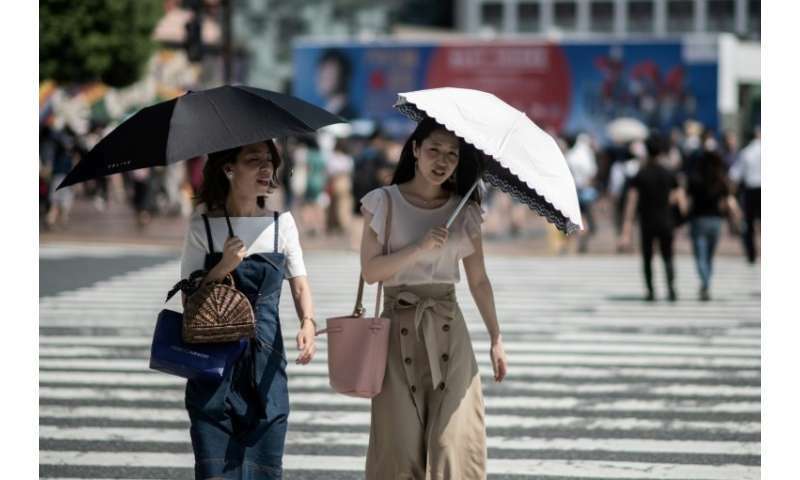 It was marginally cooler on Tuesday—36 degrees in Tokyo according to the national weather agency—but temperatures remained well above normal in most of the country, and little relief is forecast. 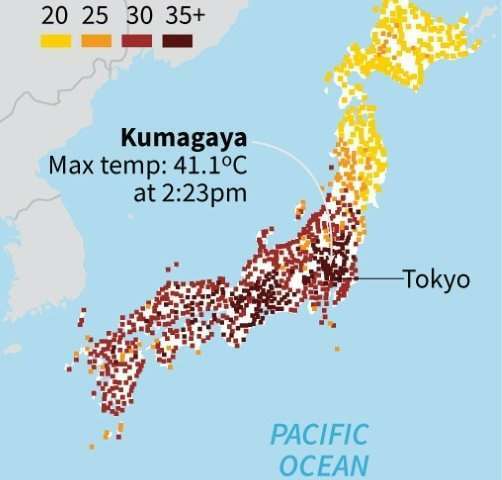 "We are observing unprecedented levels of heat in some areas," weather agency official Motoaki Takekawa said late Monday. The heatwave "is fatal, and we recognise it as a natural disaster," he told reporters. "It's just as important because the purpose is also to protect people's lives," she told reporters, comparing Japan's summer to "living in a sauna".